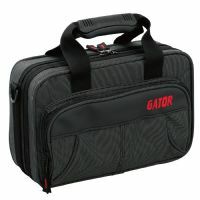 Holds approximately twenty-five 12-inch vinylrecords (LPs). 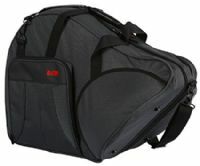 Equipped with a mesh cushion, ensuring ventilation for the wearer’s back even whencarryingthe bag for an extended time. 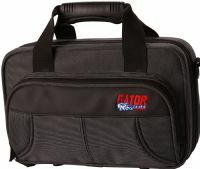 Gator offers a host of rugged cases and bags, so you can make sure every element of your rig is secure. 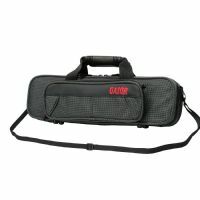 Lightweight Trombone Case with internal accommodation for F-attachment. 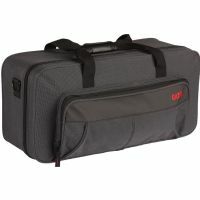 Gig bags for trumpet are convenient, but most of them don't have a compartment for mutes. 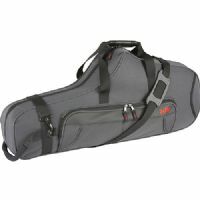 Rigid EPS Foam Lightweight Case for Flute Exciting new design Nylon lightweight exterior with plush covered dense EPS foam interior Interlocking comfort grip handle.